Information gathered from the 20-volume Oxford English Dictionary estimates that there are likely three quarters of a million English words, and this is a conservative estimation. 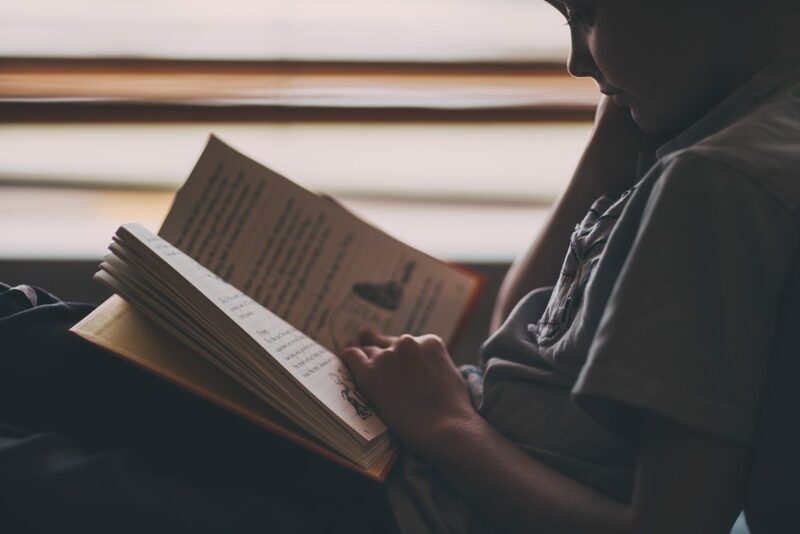 With seemingly limitless options to choose from when speaking, writing, or reading, vocabulary acquisition is a vital, albeit somewhat disregarded, aspect of academic development. Elementary curricula widely limit vocabulary instruction after a certain grade, making it even more important to build up a strong foundation at home. So, how exactly can we foster a rich vocabulary for children at a young age? Surprisingly, age is on their side when it comes to acquiring vocabulary skills. A little-known fact about language is that it cannot only be heard before birth, but some studies indicate that infants even begin to equate meaning to words in the womb, as well. Even more impressive is the rapid rate by which school-aged children learn new words after age six—an average of 20 new words per day! This information proves that it is never too early to work on improving vocabulary. Studies suggest that direct instruction of vocabulary does little to build an understanding. Word games, however, are a fun and easy way to practice building vocabulary at a young age. 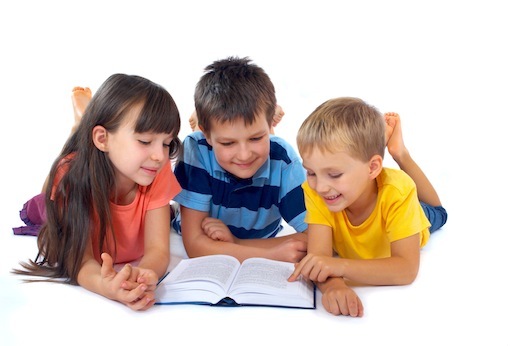 Scrabble, Boggle, crossword puzzles, etc., will provide children with skills to build a robust vocabulary. Even using an activity such as Mad Libs can help children practice vocabulary use in a “play-like” format. Utilizing word games is a great way to build motivation and comprehension without making it seem like instruction. Incorporating synonyms is another valuable manner of building vocabulary. When your child is expressing emotions, prompt him or her to use other words beyond “mad,” “sad,” and “happy.” Expressions, animals, actions, colors—the categories are limitless for introducing synonyms. The point here is to provide as much exposure as possible. Even when speaking around your children, introduce new or unfamiliar words so that they can hear them being used in everyday speech. When doing this, be sure to provide adequate context so that the new terms are rooted in speech or language that they already know. Otherwise, the new terms will be literally lost in translation. It is also important to note that it is not necessary to correct children’s speech on a regular basis. The interesting part of “kid-speak” is the subconscious thought process behind youngsters’ common grammatical errors. For instance, it may be adorable when we hear children say things like, “I goed to the store with Mom today.” No, “goed” is not grammatically correct, but it does exhibit the attempt to use the past tense verb of “to go.” Instead of blatantly correcting their error, subtly replace their “goed” with “went.” This slight shift in language use will demonstrate the correct grammatical usage without frustrating them with constant corrections. Once they have mastered the grammatical usage, synonym work becomes even more helpful. Did you “go” to the store with mom? Or did you mosey to, rush to, visit, meander through, peruse about, etc. Comprehension: though this term has a simple definition, it is far from a simple concept. Comprehension centers on one’s ability to understand or make sense of something. It is truly a complex cognitive ability that can be difficult to measure and varies person to person. Once adolescents arrive at the high-school level of their education, comprehension is an expectation in the classroom. Having progressed through years of schooling, high schoolers have had their comprehension assessed countless times. The methods for which to assess them over the years is just as varied. Whether via formal or informal assessments, comprehension at the high school level leaves no room for gray areas—students either comprehend a concept, or they do not. This is different from the lower grades, when students are still developing comprehension skills. 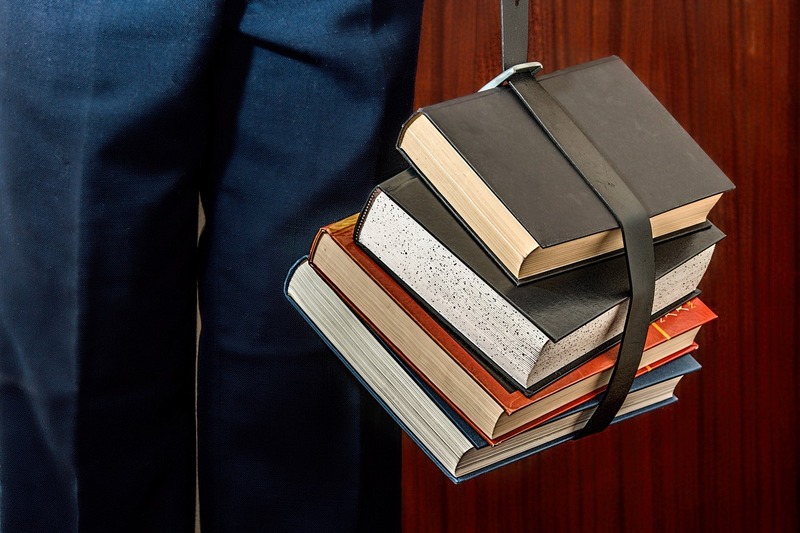 So how can high schoolers check for and improve comprehension skills? The three-step strategy below is a proven process which expands a student’s comprehension skills. Annotate texts, assignment sheets, rubrics, etc. Essentially, any text can be annotated to check for understanding. When students receive an article, report, novel, etc., they should immediately assume the role of an active reader and writer. This means that, when reading, students should have a pencil and/or highlighter in hand, ready to record as they read. This is not an innate skill; it takes practice and consideration. Highlighting is not merely enough—students have to indicate why they have highlighted something, which is where margin notes come into play. This process helps to ensure that students are actively engaged in the text, following along and thinking critically as they read. Employ close reading, of which annotating is an important aspect. Close reading involves a critical analysis of a text that requires the reader to engage closely with the text by focusing on significant details, patterns, and other distinguishable aspects of the author’s writing. Close reading asks that readers question or critique the artistic choices of the author, i.e., Why did he include that simile? What is the meaning of that term as it is used in the context of the paragraph? What is the greater message that the author may have been trying to convey? Close reading encourages readers to look at the text in layers, similar to that of an onion. As we peel back the layers, we ask different questions of the text. First, what is the author saying? Then, how is the author saying it? And finally, why would the author choose to say it in such a way? Respond to the text. Having annotated and performed a close reading of the text, a final method for ensuring comprehension is to respond to the text. With the notes that the student has taken, and the observations and critiques that have been made, high schoolers can exhibit further comprehension by responding in various forms, but likely a written response. High school students can create book reviews, author reviews, argumentative or persuasive pieces, etc. By commenting on a text in a critical way, students are able to show that they have not only comprehended the material, but also analyzed it critically. Comprehension, quite simply, indicates a person’s ability to understand something. Simply by existing, humans are constantly receiving input and information, analyzing it, and (hopefully) making sense of it. Something that is done so automatically and continuously should be easy, right? Not always. Herein lies the issue, especially when it comes to the middle school child—adolescents often think that they know everything, and/or, they completely disregard anything that confuses them. The “if I ignore it, it will cease to exist” mentality unfortunately only works to create more confusion. This is why self-checking for comprehension is a necessary skill for middle schoolers to learn to employ. Trust me, comprehension will be assessed at great lengths throughout middle and high school. 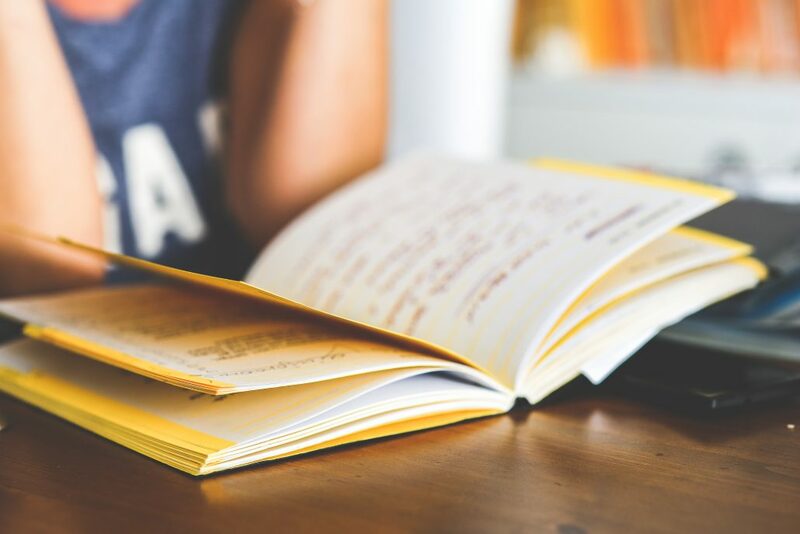 Between the standardized testing, regular assignments, and lengthy book reports, formative comprehension checks will become a routine as students make their way through their schooling. In order for students to recognize whether they have comprehended something or not, it is important for them to begin to actively question themselves as a learner. But what does this look like? Here are a few strategies that middle schoolers should employ to check for their own comprehension. Can I summarize that reading? A summary should consist of the key points, major details, and take-aways from the entire reading as a whole. 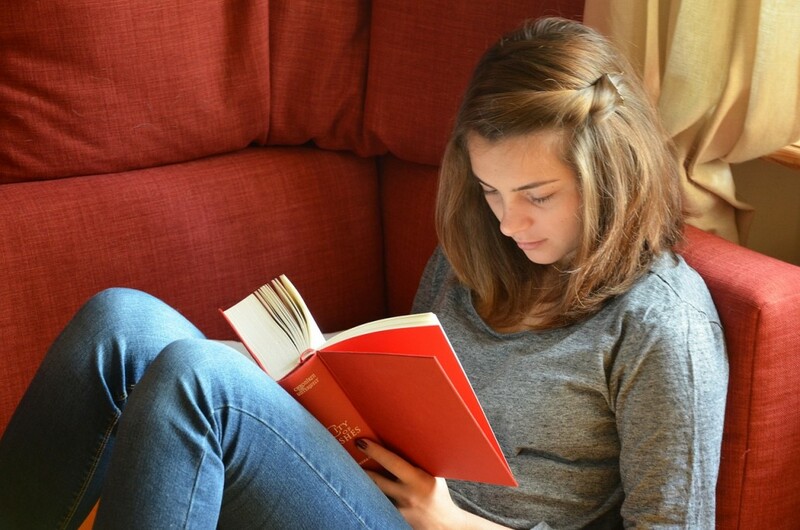 If a middle schooler is not able to adequately present a holistic view of the key moments from a text, he or she has not fully comprehended it. Did I understand all of the vocabulary that I encountered? This question goes back to the issue of disregarding information that is confusing. When stumbling through a reading where vocabulary presents an issue with comprehension, students’ typical reaction is to plow through, ignoring the terms or phrases that they do not understand. This is an obvious sign that the middle schooler is not fully comprehending the text. 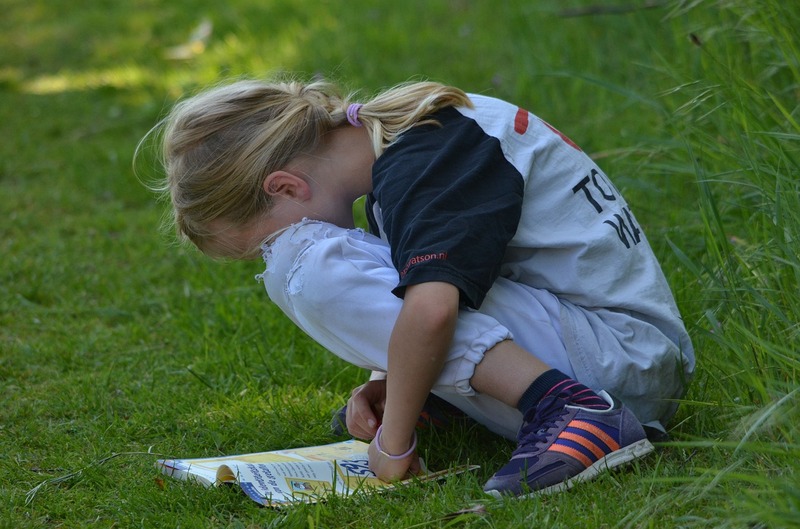 As annoying as they may find this to be, middle schoolers should get in the habit of searching and defining unfamiliar words as they read or work. Can I comment, question, or critique anything from this reading? Again, this practice is often met with moans and groans. “As if reading the text is not difficult enough, they now want me to analyze it? !” Yes. If a middle schooler does not have anything to add or consider after finishing a text, then their comprehension is questionable. Highlighting and taking margin notes will help when it comes to critiquing the text. Be sure that your middle schooler knows why he or she highlighted a certain section. Again, if they are able to pinpoint key moments or question the text, chances are the comprehension piece is intact. Was my focus on the text the whole time? This question is one that even adults struggle to answer on occasion. If readers arrive at the bottom of the page only to discover that they were thinking about what to eat for dinner, then the focus was disrupted. Without focusing on the text, there is no way to fully comprehend its meaning. Try implementing one or more of these strategies the next time your middle schooler completes a reading assignment. You may both be surprised to see how a few extra minutes of reflection can greatly enhance comprehension! Merriam-Webster defines comprehension as simply, “the ability to understand.” Sounds simple enough, right? – Ask specific questions about your child’s day. Be ready for follow up questions, as well. This is something that parents do regularly anyway, but the difference is in how you ask the questions. Be sure to ask about specific events, classes, or activities from the day. This will cause your child to reflect on his or her day and respond in detail. The ability to recall the day’s key events not only checks for memory and comprehension, but it also provides information about what is most important or memorable in your child’s perspective. – Subtly model the process of checking for one’s own comprehension. Perhaps when cooking dinner, read the recipe aloud in front of your child. Ask him or her to explain something that seems “confusing” to you. Model the process by which you reread, ask questions, and rephrase instructions. 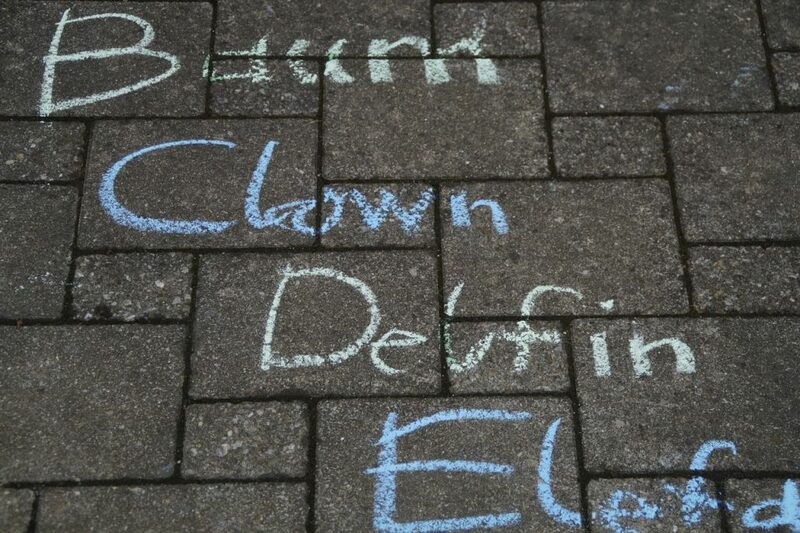 Demonstrations like this show children how to recognize when they are experiencing confusion. This also shows your child that comprehension or basic understanding plays a huge role in the real world. – Simply ask, “How was your day?” Of course, this is a perfectly normal question that we have all asked and answered on countless occasions. There is nothing wrong with starting there. However, this sort of question allows for a weak, general response, one that lacks detail and any sincere reflection on the day’s events. Perhaps ask for a high point and low point; what was the best part of your day? Now tell me about the worst part of your day. Again, this prompts children to get specific about what they can recall. – Over-sell it. 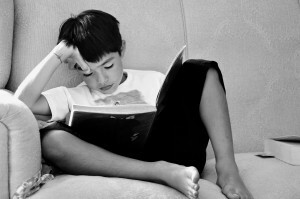 Checking for comprehension is a skill that should eventually become natural as children progress through their education. A little prompting is helpful; yet, blatant practices will intimidate, confuse, or even discourage a child when it comes to self-checking. Again, subtly implement or model different uses for comprehension. The more routinely natural the practice becomes, the easier your elementary schooler will be able to grasp it. – Make your child write the information down. The idea of the bedtime story is meant to be enjoyable and relaxing. Comprehending the story is simply another layer of enjoyment. Forcing your child to write or formally respond is in no way beneficial to his or her comprehension. If they can verbally articulate what happened in the story, then they comprehended it sufficiently. When it comes to learning strategies, styles, and techniques, learning cannot be explained as a “one size fits all” method. As much as we are told that there are kinesthetic, auditory, visual, and read/write learners, learning processes and preferences are truly more complex than these labels. While there are truths to the different categories of learners, we cannot assume that each young learner fits perfectly and fixedly into one specific category. In fact, depending on a learner’s strengths and weaknesses, he or she will employ different techniques from different categories to best suit the task. Consider this personal example: a learner, like myself, with a propensity for reading and writing would likely excel in tasks involving creative writing techniques, close reading skills, vocabulary, etc. In the mathematical realm, however, this same learner may need to employ a different learning style. One may assume that a word problem would suit this type of read/write learner. However, for a learner such as myself, the wordiness of a math problem actually got in the way of comprehension. Instead, I would employ visual strategies, such as sketching, diagramming, or graphing to visually break down the word problem. Depending on the task, a strong learner will know how and when to employ different strategies. This type of fluidity in learning styles takes practice. For instance, in the above example, a read/write learner like myself would likely read a confusing word problem many times before realizing that a visual illustration would actually be more beneficial. Thus, the best way to help young learners is to provide them with numerous learning strategies and techniques. Then, let the learner decide which different strategies are helpful in certain circumstances. Below are just a few strategies organized by learning style. Use diagrams, illustrations and graphic organizers to visually conceptualize a task. For instance, a visual learner may benefit from a prewriting outline before beginning a lengthy essay assignment. Color code when taking notes to visually organize information on the page; this can also help with memory. Highlight key words when reading or studying to help retain the information. 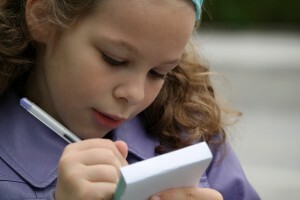 Rewrite notes or perform demonstrations of the task to better see and memorize the information after the initial lesson. Restate the information in your own words to solidify comprehension and memorization. Create mnemonic devices while studying. Organize information into a song, rhythm, or rhyme to help with recall. Ask and answer questions aloud during lessons or lectures. Pace or move about while studying notes to help with memorization. Fold the corners of textbook pages to refer back to important information. Stand while reading or reciting. Take small, frequent breaks when working on large assignments. Reenact the concept or task; this is especially helpful for science labs, physical or athletic skills, or theater-related tasks. Sit on a yoga ball while reviewing material or studying for extended periods of time. Use a line-reader or cover the text on the page when reading; this helps kinesthetic learners to focus on a text line by line, as opposed to getting overwhelmed by a wordy page.